Before minerals were popular and the need for natural ingredients was the trend, KROMA® was born in 2000 to cater to the healthy-conscious. 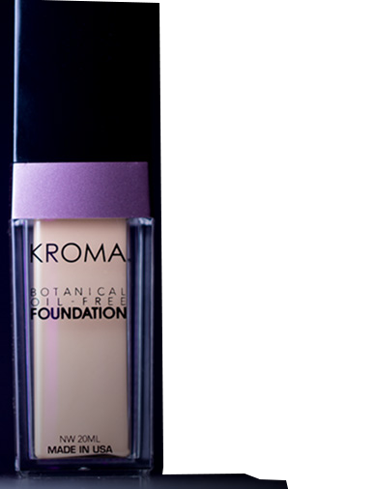 The KROMA® collection is unique due to its’ rich pigment, durability, high-grade minerals and natural preservatives safe for the most sensitive skin. Proud of the versatility KROMA® offers, it is widely used from everyday wear, to photo shoots, print, HD tv, post op procedures and ideal for any skin conditions. KROMA® means color in Greek and founder, educator & celebrity makeup artist Lee Cristou has selected all of the shades and has personally made all of the formulas so that you know no matter what your preferences are, KROMA® Makeup will fit any lifestyle and any skin or age range. Her exacting standards applied for over 20 years creating looks for thousands of women, guarantees not only an improvement but your skin will thank you as Lee allows only the freshest and most natural ingredients in her products. She saw the perks of a natural product, years ago, before it reached its’ current prime. “I got tired of the limitations of product companies I offered my services to, so I wanted to create a line that addressed needs effectively, but doing so, naturally”. So she began spending her time conjuring up formulas, experimenting with mother nature’s raw materials, with her first round of results producing a line of hypoallergenic makeup, but as time passed, the scope of her business grew into a customized mineral makeup line, carefully made from natural botanicals & high-grade minerals. Her past experience in modeling, licensing in aesthetics and her expertise in assisting to develop many beauty lines, moved her to also create a line that caters to customization. Exclusive, Luxurious, Doctor Recommended, Limitless Color & Texture, Organic Compounds, Age Defying and Planet Friendly. Be Radiant. The Essence: pure natural botanicals and minerals, organic-based. The Philosophy is: make up with essential elements to protect, enhance and improve your skin. The Inspiration: limitless color. The Experience: the full spectrum of KROMA.